Advanced Diploma in Operations Management has been designed to provide opportunity to the aspiring entrepreneurs, hotel staff and students to take initiative and interest in developing their skills and equip themselves with appropriate knowledge in the field of Hospitality Operations Management Promotion of any business be it sale of goods or services, wholesale or retail trade largely depends on successful hospitality managers and hence dynamic hospitality managers are important and they form an integral part of every growth oriented management system. This course will provide candidates the much needed inputs and mould them to take up challenging assignments in any field of activity for ensuring prosperous future career. And also the purpose of Advanced Diploma in Operations Management is to provide students with the knowledge and skills necessary for senior management in the hospitality service whilst also preparing them for high level training in National and International Hotels. This makes the course particularly appealing to senior executives who may have already specialized in travel and tourism, hotel and catering, leisure and recreation or an area of business and who now wishes to broaden their understanding of all areas of senior management as applied to the field of hospitality. 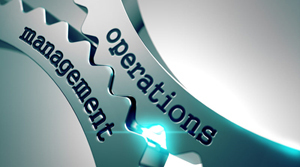 Again the Advanced Diploma in Operations Management offers students advanced knowledge and trains them in the technical, managerial, cultural and human relations skills required for a successful career in the hospitality industry. The program focuses on providing a firm knowledge and understanding of the operations and functions of all departments as well as the management issues pertaining to international hotel standards. Students will develop the ability to identify and analyse business problems, and formulate strategic and operational plans to respond effectively to the rapid changes in the business environment of the hospitality industry. The two year Dual Diploma in Rooms Division Management provides in depth training in Housekeeping department for maintaining the standard and quality of the rooms and all guest areas with co-ordination of Front office and Maintenance department. The entire departmental functions of Housekeeping are enlightened in this course, for example maintaining Linen, laundry, upholstery and interior designing of rooms etc. This course is specially designed for senior executives in housekeeping operations. 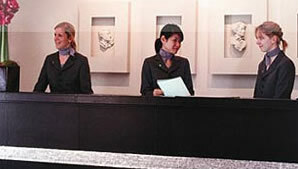 The course will help executive housekeepers to grow up to Corporate House keepers in future. 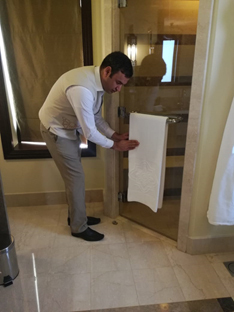 The designing of housekeeping department to Landry department, preopening of luxury 5 star hotel rooms, consultation work of director in housekeeping, giving new projects of sectors in housekeeping etc are the main objectives of this course. Individual classroom education is limited but linked with work at Star and Resort Hotels. You will be supported and guided individually with assigned mentors in your chosen field along with your job. Total academic hours of guidance on the subject will be decided per individual student. Student assessment and evaluation will be done by assigned mentors for another stipulated time. Study hours per week are not compulsory if industry demands you on work spot. But total hours of dedication on subject will be given by your mentors at your convenient time intervals as well as the convenient time of your mentors. But finally mentors should certify that your course was completed as per the schedule given. This course is based on proven star hotel training models–guided by expert and experienced top hotel executives of star hotels. The students are already hotel/Industry employees and can use their work experience as the practical training and provide us the training certificate from the place where already they are working. To enrol as students to this program, the applicants should have minimum 8 years’ experience in their area of hotel operations. The students are advised to do project/research work as part of the curriculum based on their experiences in academic and industrial work experience. This project/research will enhance the individual’s creative aspect in their area of operations. This project/research report should be precise and should not be more than 25 pages and should be submitted in pdf file to the mentors assigned to him. The project topic should be related to the student’s specialization and creative ability. The curriculum is designed to teach the advanced technology and knowledge of Housekeeping operations in International hotels through theory and practical methods and enriches the student with high knowledge of Rooms Division Operations. Good English speaking people with in-born passion for housekeeping, systematic and steady-minded, and who enjoys in meeting various guests and provide them pleasing Hospitality and comfortable stay. Minimum 8 years work experience in housekeeping is essential. Please go through our enrolment procedure and enrol for a career doing something you love and which gives you the utmost satisfaction. Enroll now or Contact our Admissions representative to find out more details.